The idea is to combine all of these into a single package. That means all you need to worry about is choosing the layout and writing the content. Everything else is done for you. If you’re looking for more discounts and deals, you can find the Hostgator promo code that suits you best. What Does the Gator Website Builder Include? Unlike their regular web hosting plans, the Hostgator website builder includes a free domain! That’s a pretty significant perk! Normally you’d choose something like WordPress as the software for creating a website. But you first need to install WordPress, then configure it to work, and learn how to use it. For all its power, WordPress can be quite unintuitive for a new user. Plus the free version only comes with a limited number of themes. These themes are segregated into categories like “Business”, “Technology”, “E-Commerce” etc. Each of the professional themes above is optimized for mobile and is completely responsive. It’s hard to overstate how important this is, considering that well over half of all traffic now comes from mobile devices. With regular themes on other CMSs, you might need to do additional work to ensure that your visitors view a mobile-optimized site – like installing a plugin for example. But with the website builder, you don’t need to worry about that. Adding images to an article can be time-consuming. Searching for license-free images, then downloading, sizing, and uploading them can be a drag – especially when you have to do it over and over again. 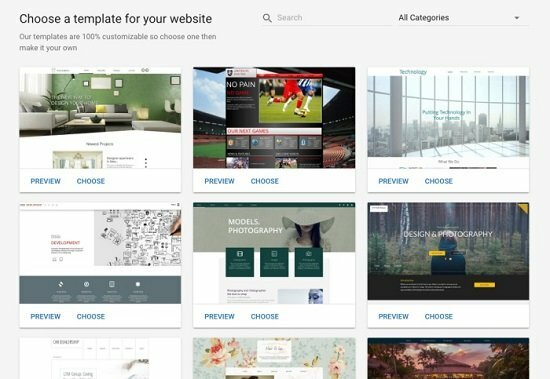 The Hostgator Website Builder includes integration with unsplash.com, which means you can include the images right from within the interface itself. No more putting your work on pause! Setting up analytics on your site is crucial. You need to know how many pageviews you get, your bounce rate, and other important statistics. Normally, you’d use Google Analytics, but this involves setting up the code, and again – it’s not always intuitive. With WordPress, you might need to install a plugin or write custom code to insert the analytics section into your theme. So you no longer need to take any additional steps. If you’re already using Google Analytics, you can migrate that easily too! 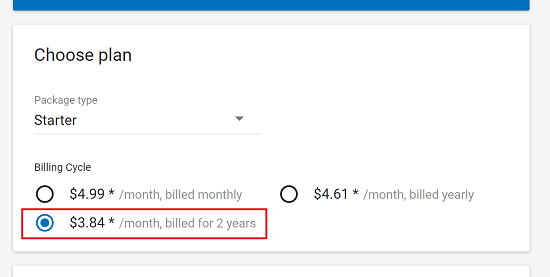 Ever since Hostgator introduced free SSL in July 2018, all of its plans come with SSL included. These are basically Let’s Encrypt certificates that renew automatically every 90 days. That’s a huge saving and helps keep search engines like Google happy! What Are the Three Website Builder Plans? This includes “priority support”, which means quicker responses to your questions. Note that even with the starter plan, you have access to round the clock support 365 days a year via telephone, email and live chat. But priority support is faster, and you get placed into a special queue where your concerns are addressed faster. As the name implies, the eCommerce plan includes the ability to integrate a shopping cart onto your site. This means you can buy and sell products, add a repository of items, along with all the usual stuff you expect from an eCommerce store. One of the reasons why it’s more expensive, is because of PCI compliance. Payment processing vendors have an association to create standards to ensure that servers which accept online payments adhere to a strict set of requirements that guarantee safety and privacy. These requirements mandate special security measures on servers, which increases the cost of hosting. That’s why the e-commerce is priced at a premium. Should you Go for the Hostgator Website Builder? That depends on how much experience you have setting up a website. If you’re an experienced developer, you’ll probably want to stick with an environment that you’re familiar with. But if you’re just getting started, it might be a good idea to go with something that is bundled together. This post has been included as an entry into a giveaway/sweepstakes. I've been writing about web hosting and WordPress tutorials since 2008. I also create tutorials on Linux server administration, and have a ton of experience with web hosting products. Contact me via e-mail!